Vinyl siding is long lasting, low maintenance and affordable—you save time and money. Make a dramatic difference in your home’s exterior with vinyl siding from Sears. Our Weatherbeater siding is weather resistant, low maintenance, and durable—it’s an easy-care, low-cost option compared to other types of siding. Sears offers three grades of energy-efficient vinyl siding options in all the popular colors—all backed by a great warranty. We’re committed to your satisfaction. Home Advisor recently awarded us Best of Home Advisor 2018, honoring Sears Home Services for extraordinary quality of work practices, customer service, ratings and reviews, and overall value. Sears Home Services provides a comprehensive and affordable siding installation service that you can trust. The siding experts at Sears will meet with you to explain the process and answer your questions, making sure you get the siding colors and options that work for you. The process is quick and easy, with a project coordinator taking care of details like ordering materials, scheduling the installation and inspecting the work to make sure you’re satisfied with the results. Contact Sears Home Services today for your free on-site consultation for new vinyl home siding. 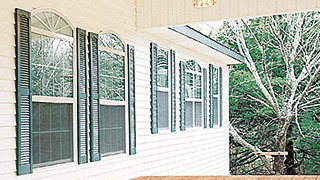 Make your windows pop with shutter accents. Bring unique detail to your siding with scallops. 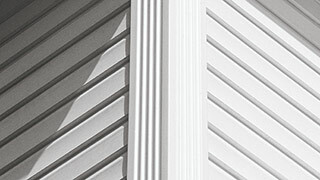 Traditional shake siding adds charm to any home. Vinyl siding is a great way to improve your home’s exterior and ensure its longevity. 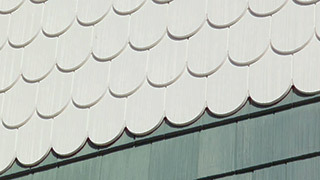 This easy-care and low-cost solution offers a number of benefits over materials such as wood or fiber cement. Vinyl siding’s durability, energy efficiency, low maintenance and improved color options are why homeowners continue to choose vinyl siding from Sears Home Services. Improved durability Modern vinyl siding from Sears is engineered to last, with proven color performance and extreme durability in all weather. Vinyl siding is also immune to water damage, so you never have to seal out water like you do with wood or fiber cement siding. By choosing vinyl instead of wood, homeowners can avoid issues with painting, swelling, cracking and warping. Energy efficiency Insulated vinyl siding is a fantastic way to improve energy efficiency throughout your home. 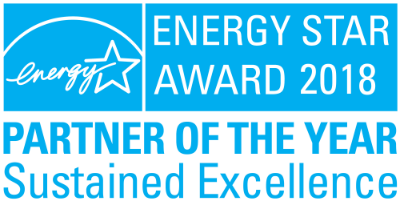 This product has been accepted as home insulation in a number of energy efficiency programs, including the ENERGY STAR Qualified Homes standard. Because vinyl siding doesn’t require painting, staining or caulking, maintaining it uses less energy. The “green” attributes of this product are fully documented by the industry’s first environmental product declarations (EPDs), with no harmful solvents released into the environment making for a sustainable and energy efficient solution. Low maintenance Lots of homeowners are drawn to vinyl siding for its low maintenance, and who can blame them? Unlike siding that has to be painted, chipping and peeling are not a problem with Sears vinyl siding. And the combination of UV shielding and protection from water damage makes it much more robust than other materials, with greater durability—saving time and money. 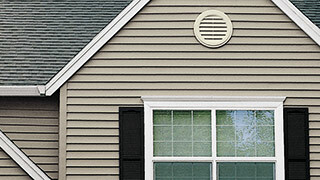 Unlike wood, vinyl siding isn’t prone to insect damage. And the colors stay vibrant and materials stay strong year-after-year. 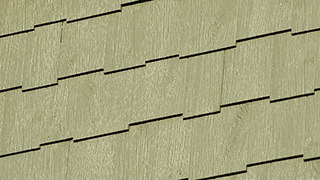 Vinyl house siding offers greater color choices and longer-lasting color solutions than other materials. Sears Home Services offers more than 400 colors, all of which offer trusted protection against fading. Not sure what trim colors go with the siding color you love? Sears Home Services has a color chart to help you pick a perfect combination. Vinyl siding color options Vinyl siding comes in a huge range of colors, making it easy to select products based on color combinations and personal preferences. Color selection tools and charts make it easier than ever to choose pre-colored vinyl siding products, with Autumn Red and Desert Tan two popular options. A little color theory can go a long way, with certain colors working well together and other found to clash. Styles of vinyl siding Along with color, Sears Home Services also has a number of vinyl siding styles and options to choose from. After you’ve selected a finish and style profile that matches your home, you can choose various types of vinyl siding accessories, including shutters, scallops, and shake. Shutter accents are a great way to make your windows pop, with scallops and shake siding adding a sense of charm to any home. 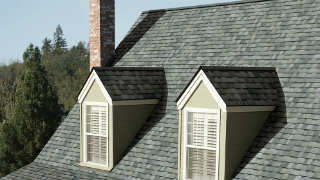 Sears Home Services offers a variety of soffits, fascia, and accent trims to complement the style of your home. 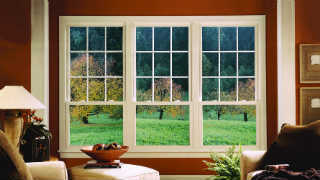 While installation is quick and easy, these features are extremely important to the longevity and energy efficiency or your house. Sears provide a comprehensive soffit and fascia installation service that follows the guidelines set by the Vinyl Siding Institute. The process of soffit and fascia installation is integral to the performance and durability of vinyl siding. Soffit installation The soffit under your roof overhang is part of the eaves of your house, where the roof overhang and side walls meet. Because this area is particularly important for water protection and adequate ventilation, soffits need to be designed and installed properly to ensure longevity and comfort. Fascia installation Once the soffit has been properly installed, the fascia is wrapped horizontally on the edges of the soffit. 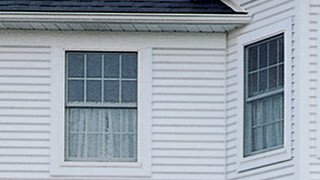 Vinyl fascia caps are typically installed over the fascia board that encloses the front of the eave. It’s important to do this installation in the correct order, with the fascia cap or coil stock needing to be installed first to support the outer edge of the soffit. QUIZ: How Much Do You Love Your Appliances?